Jennifer (Scully) McLester graduated from the Univ. of N.C. at Greensboro in 1995 with a B.A. in Dance and Anthropology. Upon graduation she moved to NYC, where she taught and performed professionally for the next 6 years. Jennifer later continued her studies at Western Kentucky University, receiving a masters degree in Physical Education with a concentration in Exercise Science. Her extensive performance history includes work with the Gamble/Van Dyke Dance Co., North/South Dance, and the High Point Ballet. While in New York City she worked with The New Dance Collective (1996), The Straight Jacket Dance Company (1997-1998), Donna Goffredo and Dancers (1998-2000). She was in the off-Broadway production of The Changeling (1996) directed by Robert Woodruff. Jennifer worked with Sharon Fogarty Dance Theater, also off Broadway, in two original works Feminine Monsters Throughout History (1998) and Heaven (1999). She has danced around the country with choreographer Michael Foley (1998-2000), and sang in little clubs with the Dinosaur Sisters (1998-2000). Jennifer spent her last 2 years in NYC working with Randy Weiner & the Tony nominated Diane Paulus, in the off Broadway production, The Donkey Show. This took her to London and Toronto. Her teaching credits include: High Point Ballet (NC), Lecon de la Danse (NC) (1997), N.C. Governor's School East, Ballet Academy East (NYC), Hoboken YMCA (NJ), and the American College Dance Festival at Bates College Maine (1999). 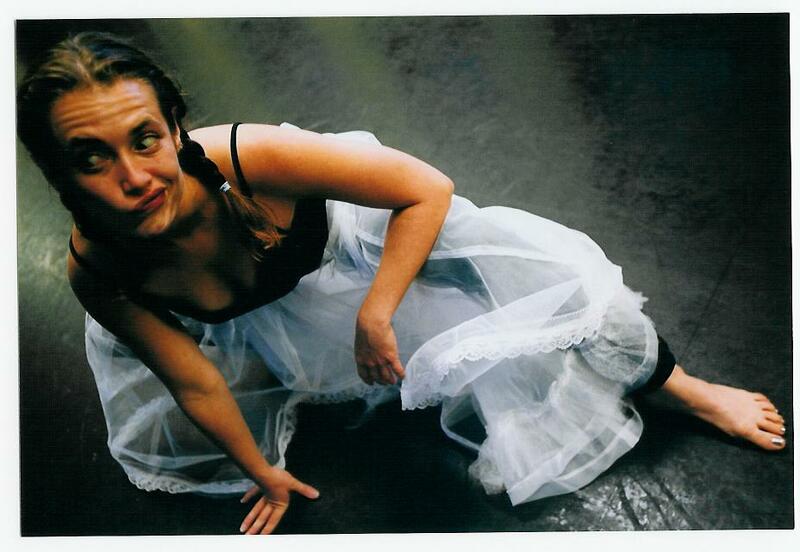 Jennifer was a guest artist at Western Kentucky University (2002) and continued on to choreograph and teach part time. She has taught and created work at Pebblebrook Magnet High School for the Performing Arts and has just completed a full-time contract at Kennesaw State University. Most recently, Jennifer’s career has piqué turned into the ranks of Dance Journalism. Her column Dancer With An Attitude can be enjoyed online in an Atlanta based entertainment magazine The Backstage Beat, and was honored to receive the 2011 Dance Critic Association’s Gary Parks emerging writer award. 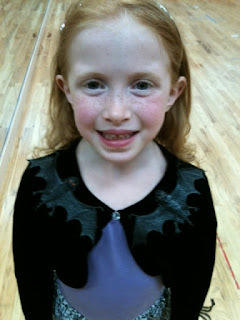 I have 2 amazing red headed girls with big personalities. They are Hazel (Lady H.) who is almost 7 and Stella (the Viking Princess) who just turned 3. In what stage of your career were you when you had your children? My life went into hyper drive when I left NYC and taught as a guest artist at Western Kentucky University. I met my husband (ex now), got married and had Hazel within a 3 year period. After my one year position, I stayed on as adjunct faculty in order to teach and continue making work for the main stage. While pregnant with Hazel I also made the push to further my credentials and get my Masters in Physical Education with a concentration in Exercise Science. It truly was a roller coaster and had a life of its own. Right after Lady H. was born I followed my husband to Georgia where he signed on as faculty at Kennesaw State University. I became a mama. What were your plans for your artistic life in terms of motherhood? How did your plans square with reality? I definitely saw myself teaching a bit, performing a bit, making work, and staying connected with the dance world. I planned on carrying my babies in a Bjorn to the studio. I found motherhood, however, all encompassing and had a hard time spreading myself out to do everything I wanted/needed to do. I also learned that in order to do this you need a real support system at home, which I soon realized I didn't have. So being 100% responsible for the physical and emotional needs of two pretty spectacular children became a full time job. I don't want to imply that I haven't worked. I have, but I call it guerrilla working. Squeezing in classes wherever I can, begging neighbors and friends to watch the girls for a couple of hours. I spent a year teaching in KSU's dance program and at Pebblebrook magnet High School for the Arts. I've been teaching Caregiver and Me dance and gymnastics and coordinating dance birthday parties at the local recreation center. But being the full time dance goddess and choreographer I want to be when I grow up has been put on hold. Now that the girls are a bit older I was able to teach full time in the Human Health and Performance Studies department at KSU last semester, but unfortunately with meager budgets, they weren't able to keep me on. Soooooo, to make a long story longer, I am currently embarking on a serious job hunt. How did you transition to dance writing? Is writing your career now? 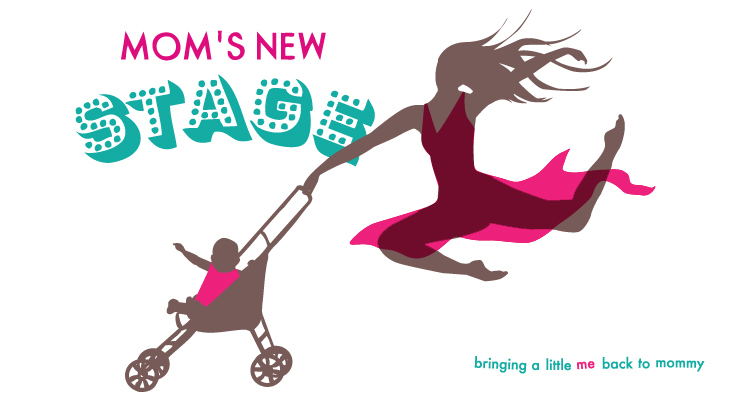 If any, what role did motherhood have in this transition? Motherhood has played a huge role in everything. I had, regrettably, disconnected from the professional dance world when I started having children. I really lost myself in the second to second realities of being a full-time mom. I love these kids and they are everything to me, but suburban housewife is not a role I ever felt comfortable with. The transition into writing was a beautiful and unexpected turn of events. My good friends Ange and Rob Alex started this Atlanta based entertainment magazine, The Backstage Beat (atlanta.thebackstagebeat.com). It had been around about a year before I joined them. Every year for Hazel's birthday I try to take her to see something. It is usually a circus of some sort. Last year, I literally spent a fortune on four tickets to Ringling Brothers. Well it was a coincidence that STOMP was also in town. My children have grown up on this show. I really wanted to take her. So, one day, Ange and I were just chatting and I mentioned that she needed a real dancer on staff, because there were so many incredible modern choreographers coming through town and no one was covering them. Ange set up some press tickets for STOMP, Hazel got to see the show and I magically felt like myself again. I found my voice writing about something I have always been in love with. Dancer With An Attitude was born and my rebirth began as well. Interestingly, right after my separation, I received the Dance Critics Assotiation’s Gary Parks emerging writer award and got to hang out with some of the greats in Seattle. I took it as a sign that I was on the right track. Aside from the actual writing, seeing all those performances with little ones must be challenging. How do you make this work? It is a mixed bag for us. I feel like there are things I cannot give my children --we don't live with silver spoons in our mouths -- I would love to put them in private schools and to travel the world. I can and will, however, give them art and culture. So I take them to as much as I can. We like to go to as many kid-friendly events as we can squeeze into our schedule. If I take Lady H. and the Viking Princess, I like to have another adult or older child with us. You know, for bathroom breaks, meltdowns and the occasional snuggle. Sometimes it's just Hazel and I.
I have a really wonderful network of helpful neighbors and friends. My father also lives nearby and he loves to come and have tea with the girls. If I don't know what I am getting into, or the show is for a more mature audience, it is very rare that I have to hire a babysitter. Your girls obviously see dance performances, and are dance students themselves. As one who has worn many hats in the dance world, what do you hope to see in your girls' dance education? Hazel is currently my trained dancer and she definitely has a natural understanding of center and how to connect all the body parts together. I love seeing her figure it out on her own and how she applies it to her formal dance classes. Stella has just turned three. She is now old enough to take class. Poor thing has been watching her sister take class since birth and can't wait to be in one. I have a feeling she might have the potential for modern dance greatness. A Gwen Welliver seedling. There are dancers who would all but physically bar their children from the studio. Do you want your girls to dance professionally? I want them to dance. I feel dancers are unique, and learn important life lessons through their training. I will never push it on them as a career. However, if they start something like a class or performance group (Hazel is currently in a Rising Stars performance group) it is important that they fulfill their obligation. So far we haven't had any problems with wanting to quit or any wrestling matches to get them into the studio. I do have to wrestle Stella out of the dance space. As of this writing, Lady H. wants to be a scientist and the Viking Princess wants to be Batman. That is just fine with me. What is your advice for single mothers in the arts? You know, being a mom is not easy - being a single mom can be scary and being an artist is something you have to invest your whole self in. So to be successful you have to invest 300% into your life. All mommies tend to make themselves a last priority. Often, at the end of the day, I realize all I’ve done is run up and down steps, climbed out of a mountain of laundry and tended to the girls. I haven’t eaten properly, hydrated, exercised or had a moment to clear my mind. I don’t know if I have any advice… but I do know it is imperative to take care of yourself. Make sure you have the support system you need and put Big Mama on that must- take-care-of list! Thanks, Jennifer! The statement: "Often, at the end of the day, I realize all I’ve done is run up and down steps, climbed out of a mountain of laundry and tended to the girls. I haven’t eaten properly, hydrated, exercised or had a moment to clear my mind." Sounded like it came from my own head. Thanks.